Greetings! With the beginning of Spring, at least according to the calendar, the creativity and rebirth abound in nature. What better way to celebrate the new season than to tap into the creativity of some of the world’s greatest living glass artists? This month I am featuring new works by several artists who easily fit into this category. As always, please feel free to contact me by phone or email with any questions or comments that you may have on the works featured here. "Behold, my friends, the Spring has come; the earth gladly receives the embraces of the sun, and we shall soon see the results of their love." What a beautiful example of this series which is one of Lino’s most sculptural forms. 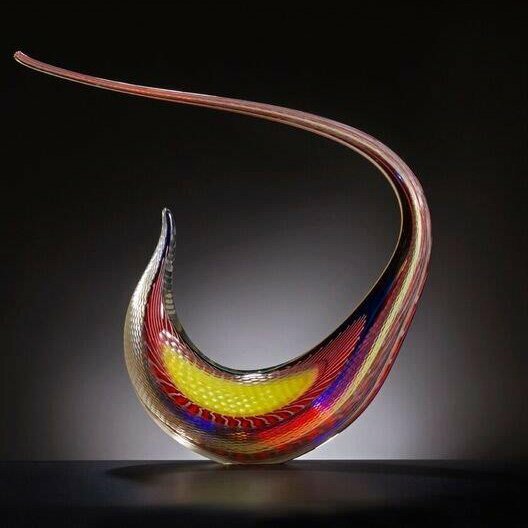 The harmonious colors, variety of surface cutting and elegant, flowing curve of this piece combine to make it one of the Maestro’s master pieces. Christopher Ries is best known for his sophisticated forms in clear optical glass. 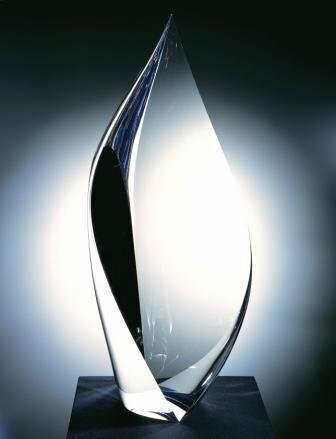 All of his works are optically kinetic due to the quality of the glass itself and the curves and angles of the forms. "Lotus" is one of his classic series. This one stands nearly 15" high but pieces from this series are available in smaller sizes as well. This new smaller work by Martin Rosol is deceptively simple in its presentation. 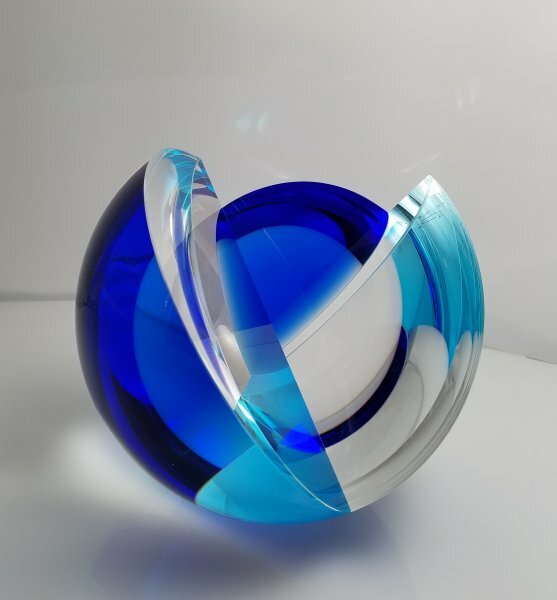 The various angles and the reflective and refractive nature of the glass create a myriad of ways to view this piece, depending upon the angle of the view. From some angles the blue almost disappears and from others it floods a large portion of the clear glass. 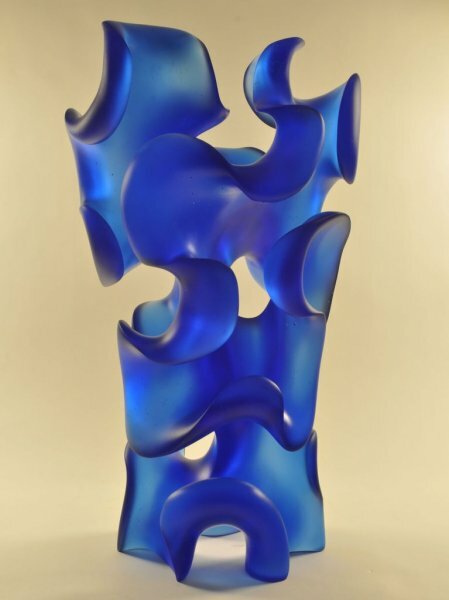 This new cast glass sculpture by Santa Fe artist Harry Pollitt is fluid, organic and graceful. Pollitt’s use of negative space combines with its curvilinear form to create an understated yet dramatic statement. For those of you who missed out on acquiring a piece by William Morris prior to his retirement, there are still some great pieces available. 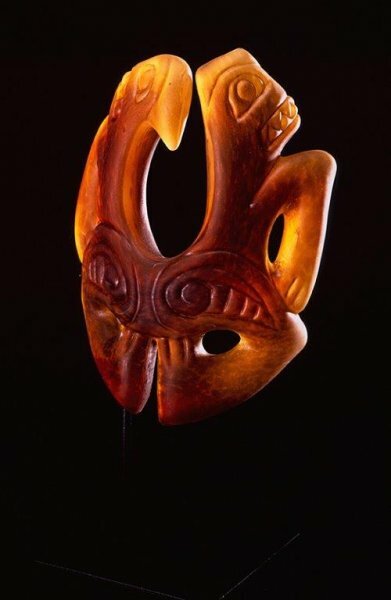 This particular sculpture is a small gem of a piece, compared to many of his much larger works that grace many private and public collections throughout the world. I hope you have enjoyed this issue of Holsten Galleries News and I wish you and your families a happy Easter and Passover. I look forward to staying in touch!